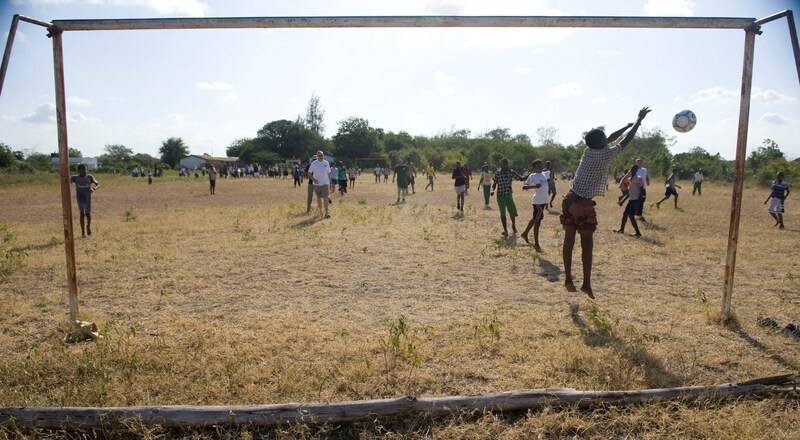 Playing football in Mokowe, Kenya 2011. Image credit Staff Sgt. Stephen Linch via US Army. A decade ago, the most expensive soccer player in the world, Neymar, turned out for his country’s national team for the first time wearing Brazil’s iconic yellow and green jersey—the same one he’s sporting this summer as he attempts to win the World Cup in Russia. On that sunny day in 2008, the baby-faced, 16-year-old striker wasn’t facing an age-old Brazilian rival like Germany or Argentina. In fact, the players lined up opposite Neymar on a grass field next to a glittering sports academy in Qatar’s capital of Doha didn’t make up a national team at all. They were a collection of boys from Africa discovered by Football Dreams, the massive Qatari talent search that I write about in my new book The Away Game. The African boys were in Doha because one of the world’s richest men, Sheikh Jassim Bin Hamad Al Thani, heir to Qatar’s throne at the time, was desperate to help his country produce a world-class soccer team. The Mideast nation, rich in oil and gas, had no shortage of cash, and Sheikh Jassim began his quest by spending over a billion dollars to build one of the most high-tech sports academies in the world called Aspire. But the tiny desert kingdom only had a couple hundred thousand citizens at the time and was seriously short on players. To solve the problem, Sheikh Jassim enlisted the services of a Spanish scout, Josep Colomer, who helped launch the career of one of the greatest players in history, Lionel Messi. Colomer, a former youth director at soccer juggernaut FC Barcelona, was convinced he could find the players Sheikh Jassim needed in Africa, a continent with a billion people wild about soccer. While Africa has produced some of Europe’s biggest soccer stars in recent years, including Cameroon’s Samuel Eto’o and Ivory Coast’s Didier Drogba, Colomer believed these players were just the tip of a massive iceberg of talent. With Qatar’s backing, Colomer launched Football Dreams in 2007 and over the course of the next decade held tryouts for over 5 million 13-year-old boys, mostly in Africa, looking for potential superstars. Sheikh Jassim’s quest to produce a world-class national team didn’t quite work out as anticipated, as exhibited by the fact that Qatar once again failed to qualify for the 2018 World Cup. 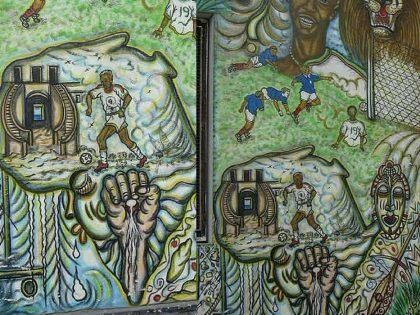 What’s perhaps more surprising is that given all the soccer talent in Africa, the countries there have failed to field teams themselves that can truly challenge perennial soccer superpowers like Brazil and Germany. Pelé famously predicted in 1977 that an African nation would win the World Cup by the year 2000. It probably seemed like a safe bet given the continent’s passion for soccer and the millions of kids who grow up playing the game. But it hasn’t happened. The farthest African teams have gotten in the tournament is to the quarter-finals: Cameroon in 1990, Senegal in 2002, and Ghana in 2010. The 2018 World Cup definitely hasn’t painted a rosier picture so far. 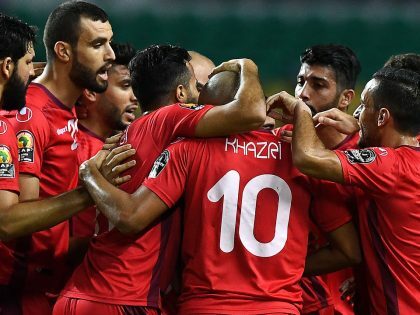 All four African teams that have played to date (Egypt, Morocco, Nigeria and Tunisia) have lost while scoring only a single goal between them. Most African kids train at the thousands of informal soccer schools that dot neighborhoods across Africa, under the guidance of coaches who often have no formal training and very few resources. There aren’t many high-quality academies offering the kind of training a young player might find in Europe. The shortage of top-notch academies is mainly driven by a lack of resources, a problem exacerbated by corruption at all levels of African soccer. That corruption was in full view ahead of the Russia World Cup as the president of the Ghana Football Association, Kwesi Nyantaki, was caught on film taking a bribe and resigned. Until African officials stop lining their pockets with money that could be spent identifying and developing the best young talent the continent has to offer, dreams of an African nation winning the World Cup will remain elusive. 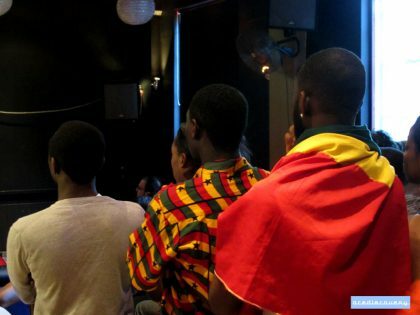 The Senegalese football jersey is a powerful symbol of nationhood and independence. 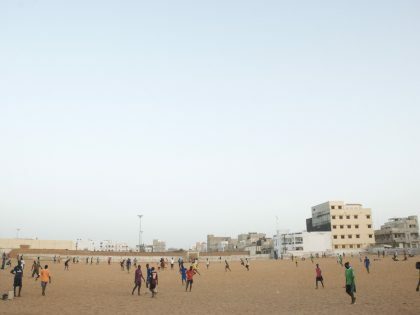 Football in Senegal is magic. That the team has qualified for their second World Cup, heightens the joy. Tunisia played England in France ’98. English hooligans attacked Tunisians in the streets of Marseille. Algerians came to Tunisians’ rescue.